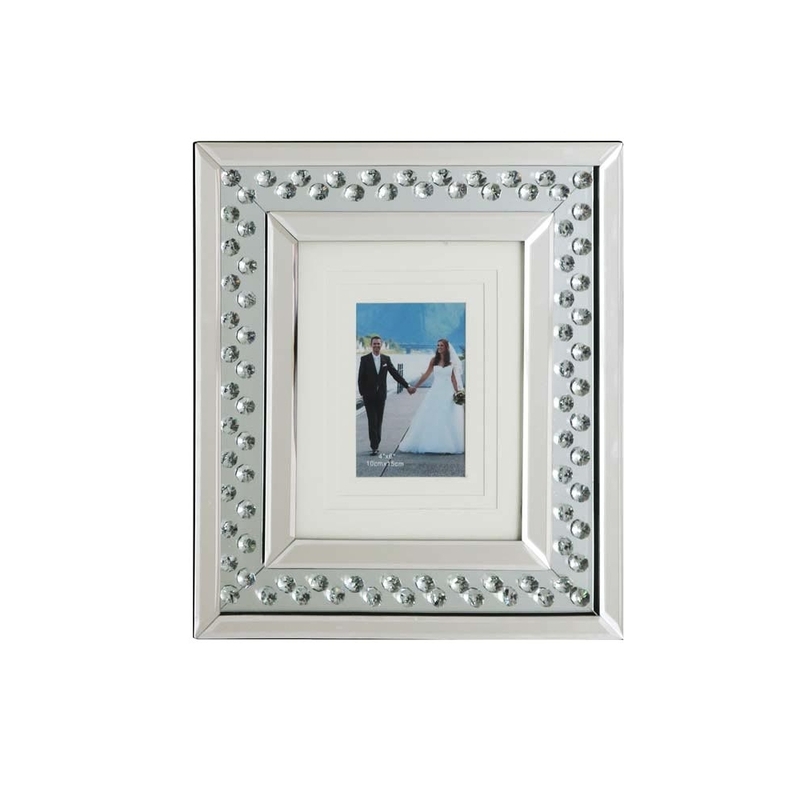 This is a truly stunning photo frame, its decorated with glass crystals along the outer of the photo frame. This is a truly beautiful photo frame that is perfect for your photo frame needs. The mirrored finish also gives the photo frame a sleek and modern finish. This photo frame is part of the Rhombus range.